Yadah were guaranteed safety after they beat Highlanders 2-1 in a Castle Lager Premier Soccer League match-day 33 clash played in Harare on Sunday. The visitors opened the scoring in the 25th minute when Ralph Matema’s effort was deflected into the back of the net by Jimmy Dzingai. Yadah got a chance to restore parity in the 34th minute when they were awarded a penalty but Ariel Sibanda denied Witness Savanhu. However, Dzingai equalised for Yadah on the stroke of halftime. The home team went into the lead on for the first time, two minutes into the second half courtesy of Rodrick Mutuma’s goal. Mutuma’s strike proved to be the decider in the match as it ended 2-1 in favour of Yadah FC. 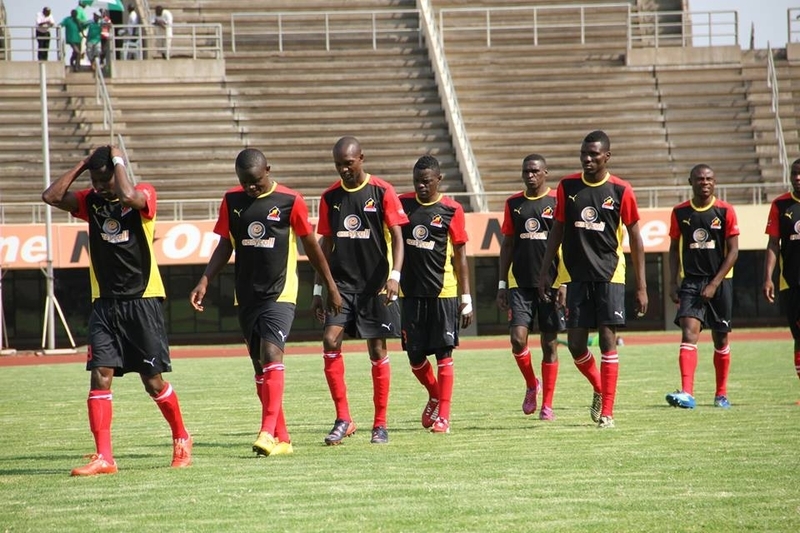 Across the city, CAPS United were held to a goalless draw against visiting Bulawayo City. There were no meaningful chances created in the first half. The second half saw Makepekepe missing some good opportunities but it was Amakhosi who came close to break the deadlock when they were denied by the woodwork in the late stages of the game. At Colliery, Harare City’s hopes of surviving relegation suffered a blow when they lost 2-0 to Hwange. Two second-half goals handed Chipangano three crucial points which lifted them out relegation. The home team went into the lead after 64 minutes of play before Delic Murimba scored the second goal of the match in the last minute of the game. 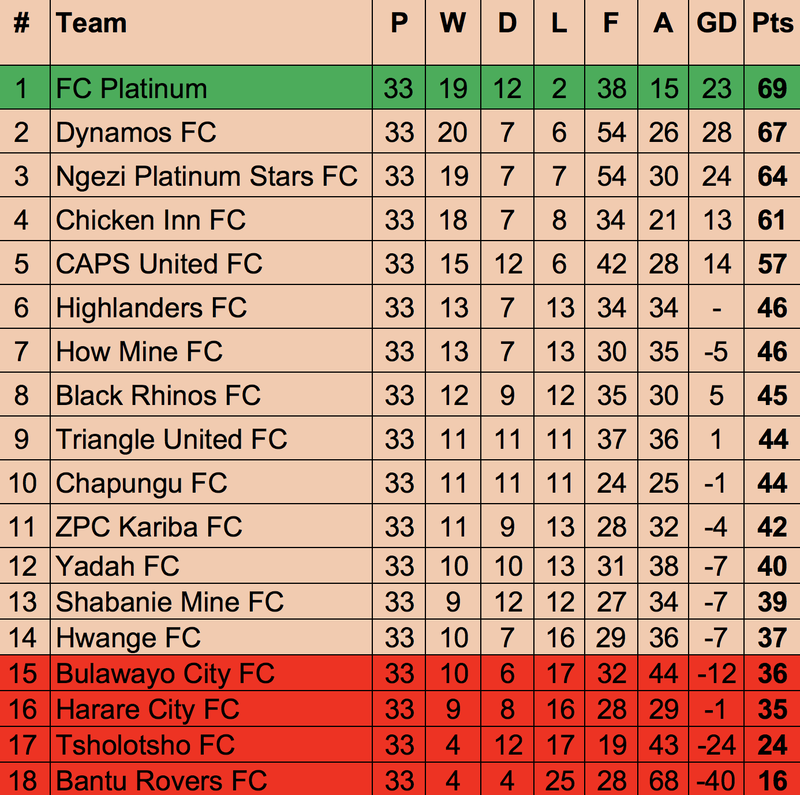 Hwange is now in 14th position while Harare City slump to 16th place. Elsewhere, Triangle thrashed Tsholotsho 3-0 in a match played at Gibbo Stadium. Courage Denias was the hero of the day when he scored a hattrick in the second half inside seven minutes. Meanwhile, Black Rhinos beat ZPC Kariba 1-0 while Chicken Inn and Chapungu played to a goalless draw.